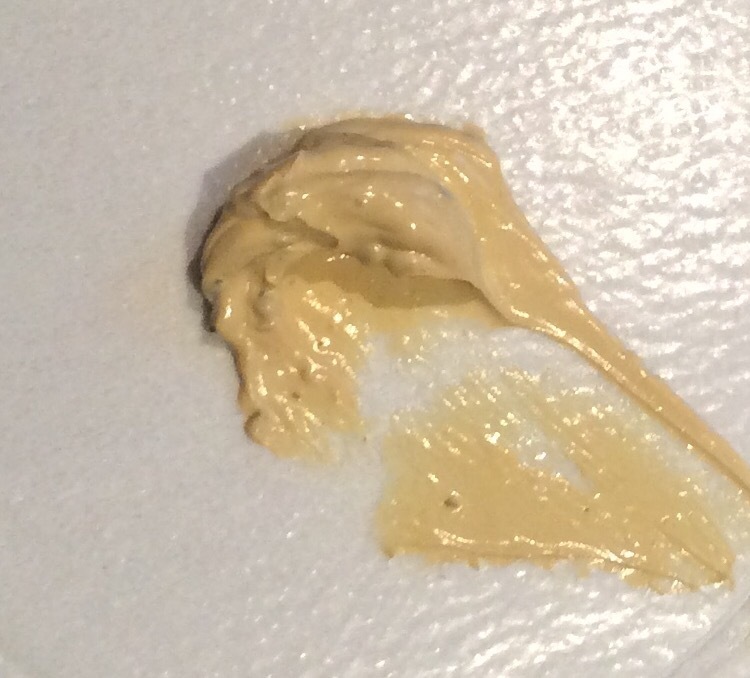 I absolutely love face masks and although my favourite multi purpose mask at the moment is the Antipodes Manuka Honey Mask (cannot recommend this one highly enough) – please see my previous post here, I also love trying other masks especially any that claim to invigorate or brighten the skin’s appearance. 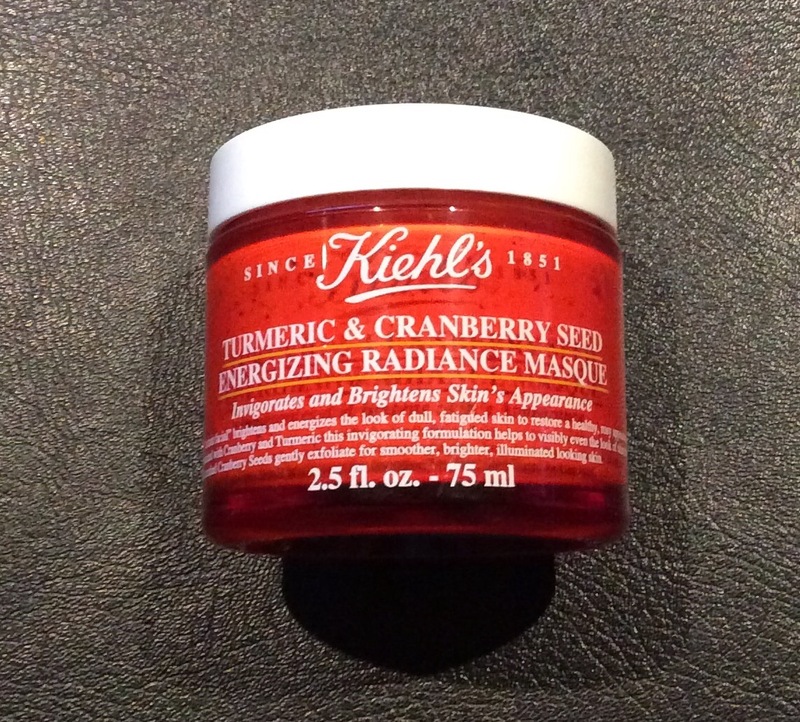 So when I came across the Kiehl’s Turmeric & Cranberry Seed Energizing Radiance Masque and it claimed to do all this and more I could not resist trying, especially as I love a lot of the products from the Kiehl’s range already – let you know which ones in a future post. An “instant facial” to brighten and energize the look of dull, fatigued skin. Formulated with cranberry & turmeric, this invigorating formulation helps to visibly even the look of skin tone while crushed cranberry seeds gently exfoliate for smoother, brighter, illuminated-looking skin. It comes in a 75 ml orange glass pot with white screw top lid with sealed interior and costs £28 – The colour of the glass pot really catches your eye although it is difficult to make out the white writing on the pot in places – hope they think about changing this in the future. 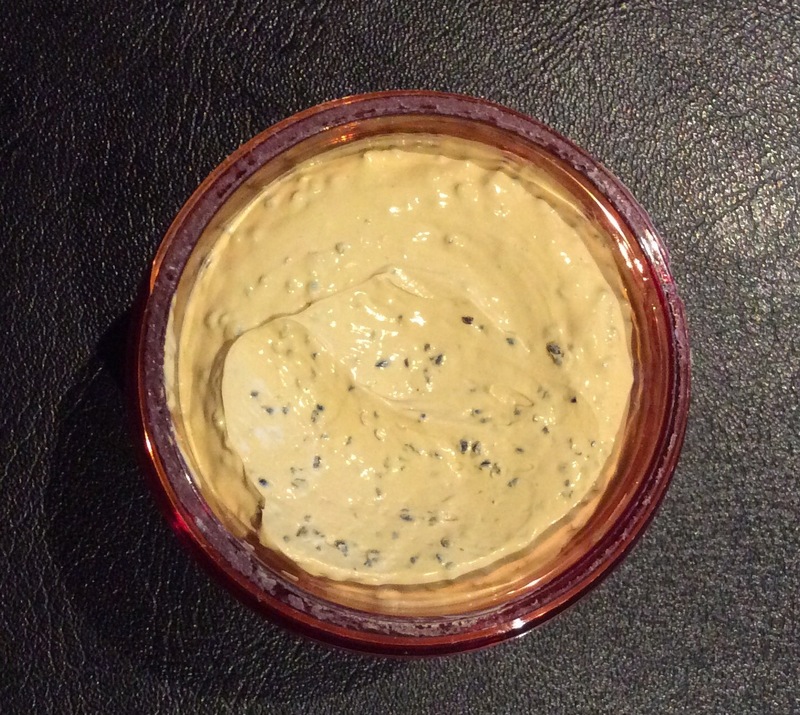 The mask is a v light peach colour, thick creamy consistency with small seed granules and has a slight pleasant spa type aroma not overpowering. 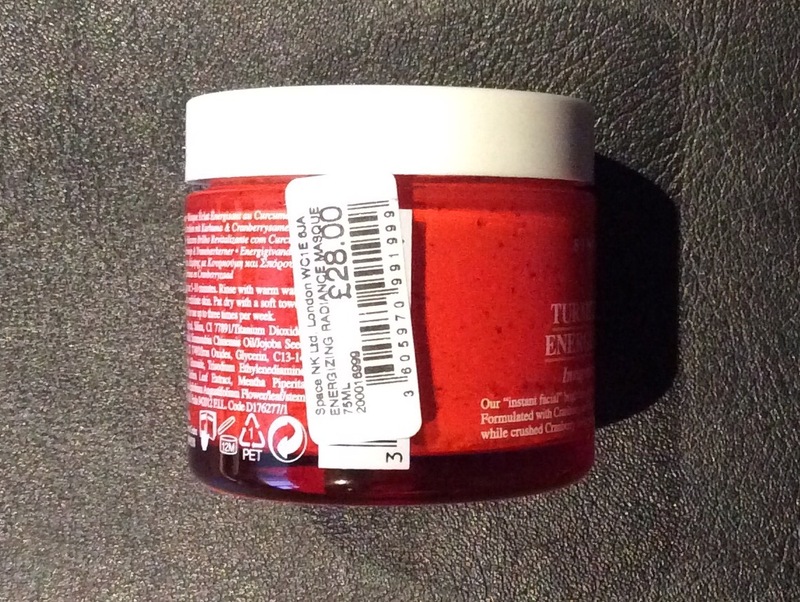 I applied a visible layer to clean skin and found it so easy to apply and then left it to dry for 10 minutes (advises 5-10 minutes, would recommend not leaving longer than this as the mask dries on your skin and then it would leave it more difficult to remove) and then I applied warm water and massaged gently to allow the cranberry seeds to exfoliate the skin – these are not harsh at all and roll more over the skin and then kept rinsing / massaging until mask was completely removed. I love the way this mask feels so creamy on the skin when you are removing it as well, massages so easily. It is recommended for use up to three times a week. Oh my gosh I absolutely love the way this mask left / leaves my skin – it felt smooth to the touch, no redness at all and my skin looks rejuvenated, hydrated and more radiant when I use it. 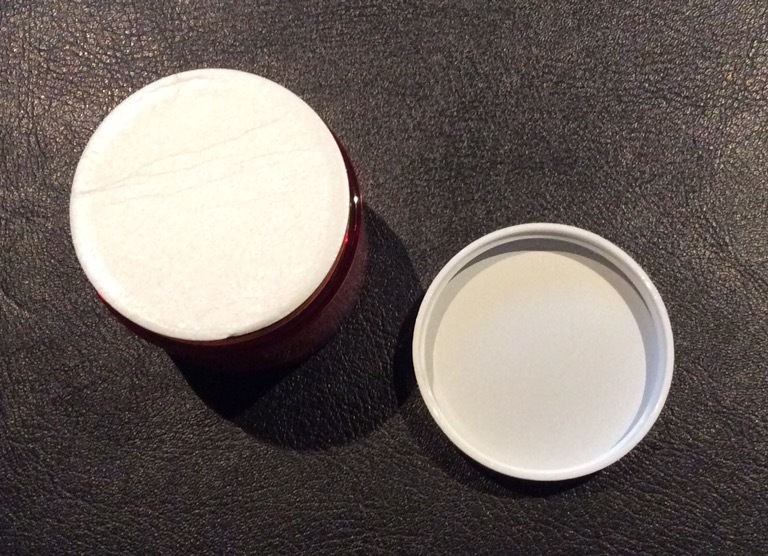 I will definitely be repurchasing and I would recommend trying – however always ask for a sample to try first before purchasing, sometimes they will have sample sachets or if not, if you have a small pot they will put some product in it for you from their tester, or they may have small pots they can use. You can purchase from a number of online stores and I have included two below which I hope you find helpful. Kiehl’s – £28 – four complimentary treats when you spend £70. Look forward to any comments you may have. If you are not already a follower would love you to follow my blog too – would mean a lot.